Through Altium’s long standing, close cooperation with Infineon Technologies the team at TASKING has always been able to deliver outstanding support for new microcontroller variants to the market early on. Through Altium’s long standing, close cooperation with Infineon Technologies the team at TASKING has always been able to deliver outstanding support for new microcontroller editions to the market early on.  In fact, TASKING toolsets often include support for new variants way before the chips are widely available, helping strategic accounts to start evaluation and development in a very early project phase, giving our customers a competitive head start. 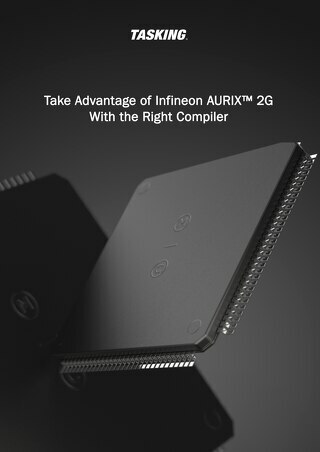 As industry first, TASKING’s TriCore compiler v6.0r1 (June 2015) brought support for the Second Generation AURIX™ (AURIX™ 2G), called “AURIX PLUS” at that time. Through a small toolset update released for v6.0r1 the support was further refined by adding Special Function Register (SFR) support to the toolset for the first device variant of the AURIX™ 2G, the TC39x A-step (December 2015). With the new release v6.1r1 of the TASKING VX-toolset for TriCore we accelerate further through enhanced support for the AURIX™ 2G, like updated SFR support, an updated C compiler for the Standby Controller (SCR, present on all AURIX™ 2G variants), and a debugger simulator update. The before mentioned v6.0r1 toolset also brought the industry first C compiler for the Bosch MCS/GTM-IP timer module, a generic timer platform for complex applications in the automotive industry like power train, power steering, chassis and transmission control. As the Second Generation AURIX™ includes core level v3.x of this timer, it is perfectly suited to be programmed using this fully featured C compiler. An enhanced GTM C compiler is included in the new v6.1r1 toolset, now also supporting the “C array” output format, enabling interoperability with third party toolsets. 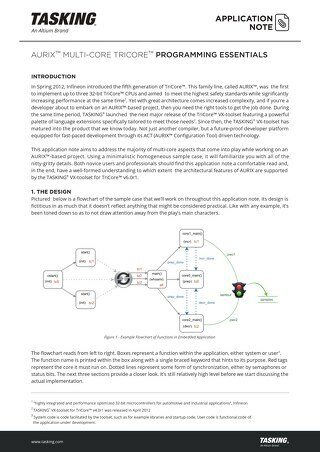 Suppose you develop an AURIX™ 2G application with the TASKING C compilers for the TriCore and GTM from the VX-toolset, then you could re-use your GTM application code in an RH850 or Power Architecture® based project with another vendor’s C compiler for such MCU, like Green Hills® or Wind River®. There is no better match for a development toolset addressing the Second Generation AURIX™ than the TASKING VX-toolset. 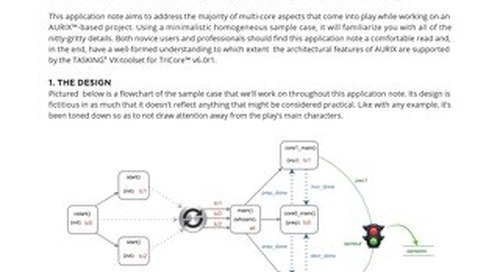 The TASKING VX-toolset offers market unique integration of compilers for really all core types present on the AURIX™ 2G, interoperating within one single IDE. Don’t let yourself be stopped at the side of the road, trying to repair the incompatibilities of compilers from different vendors to program your ECU! In cooperation with with Infineon Technologies we will continue to broaden the support for the Second Generation AURIX™ platform, adding on-chip debug support for the TC39x TriBoard through Infineon’s DAS drivers and miniWiggler debug probe being next on our road trip list. Release v6.1r1 is readily available since October 1st, 2016. The update to v6.1r1 is free for existing users with their license under maintenance. New users or customers without a maintenance contract can contact our sales representatives for an attractive offer for a license purchase or update. Anyone interested in an evaluation copy of the toolset can register through this website and download the v6.1r1 release for a test drive. Go and accelerate your application in second gear by upgrading to the Second Generation AURIX™ and the new TASKING development toolset v6.1r1.